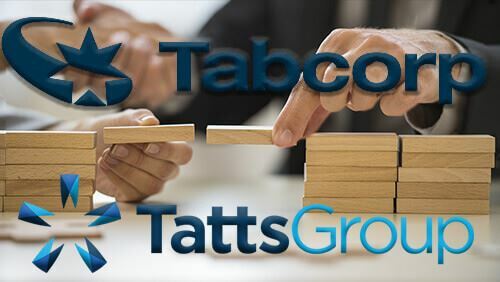 Tabcorp Holdings, Australia’s largest gaming company, is now just one step away from completing a massive AU$11.3 billion merger with lottery operator Tatts Group. The merger now requires only court approval after Tatts shareholders gave their full backing for the deal to go through. The shareholders overwhelmingly voted 99% in favour of the deal. Only 75% was required for the vote to pass, which shows how positive this merger is seen. The merger will see the end of a long, drawn-out 14-month process that began with the merger being opposed by the Australian Competition and Consumer Commission (ACCC), as well as by James Packer’s Crownbet. The two entities strongly objected to the deal after the Australian Competition Tribunal (ACT), gave their authorisation to go ahead. The proposal was initially announced in October 2016, but approval from the ACT was appealed by the ACCC, before eventually giving the green light in November 2017. ACT president Justice John Middleton ruled in November that the proposed merger would likely result in substantial public benefits and that the detriments pointed out by the ACCC would likely not arise or are not material. The tribunal was therefore satisfied that the merger would only result in positive benefits to the public and the acquisition should be allowed to proceed. Mr Cook told shareholders that net profit from operations in the first five months of the financial year was up nearly eighteen percent, with gross revenue up six percent. Tatts was hunted by Tabcorp because it possessed the one gaming interest it didn’t have. Tatts has a very firm grip on lotteries throughout Australia, which is what Tabcorp wanted to target. Tatts has been providing lottery services for a whopping 134 years. In 2016 Tatts consolidated their different games into one single entity known as The Lott. Tatts also operates race betting. Tabcorp has built a solid gaming empire through numerous mergers since 1999. They currently have interests in everything from horse racing, video gambling machines, Pokies, sports betting, and even television and radio stations. They tried to merge with Tatts twice since 2006. However, these obviously were not successful. Their perseverance seems to have now finally paid off. Expect to hear news of their merger in the following days.